The move had been called for to address the rise in serious incidents of knife crime. THE JUSTICE MINISTER has faced calls for a weapons amnesty to be introduced to combat the rise in knife crime. The last such amnesty was carried out in 2006 on the eve of longer sentences for firearms offences coming into effect. This yielded more than 900 weapons, 105 of which were knives. Responding to questions from Independent TD Tommy Broughan, Frances Fitzgerald said there are currently no plans to implement another one. She noted a number of efforts by both gardaí and the Oireachtas to clamp down on knife crime. “The maximum penalty for possessing a knife in a public place without good reason or lawful authority has been increased from one to five years, and An Garda Síochána were given an extended power of search without warrant in relation to knives and offensive weapons,” she said. In tandem with the new legislation, samurai swords were generally banned from importation and sale. She added that areas identified as public-order hotspots are targeted with foot and mobile patrols, with the aim of clamping down on a range of crime. 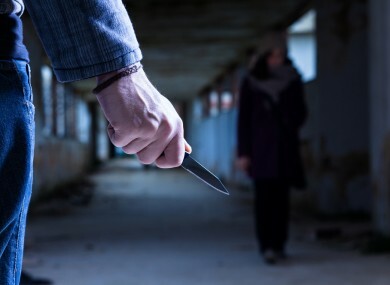 “However, it should be noted that many knife crimes occur in domestic settings and often with a degree of spontaneity, which increases the challenges for preventative policing and enforcement,” Fitzgerald noted. Broughan told TheJournal.ie that residents in his Dublin Bay North area were concerned by the rise in high-profile knife crime. He noted that it has been common to hear of people being threatened with knifes during robberies across Dublin. Broughan added that there would be support for even stronger legislation to clampdown. After nine people were stabbed at a Swedish House Mafia concert in the Phoenix Park, a local councillor said he was willing to arrange his own knife amnesty. Earlier this year, a man was arrested after jumping over the main barrier at Leinster House and attempting to make it to the building’s doors on Kildare Street. The 19-year-old was carrying a sword and had knives tucked into his socks. He made it over the front gates but was apprehended in the ‘plinth’ area of the grounds before he could reach the doors, after gardaí and ushers gave chase. Speaking on Six One News, junior minister Seán Sherlock described seeing a man running past him “brandishing a sword above his head”. The sword itself was something you would see in a movie, a typical rapier, if you will. A sidearm of what would be carried by, perhaps a soldier, built into the waist, something that you would take out of a scabbard. Email “Fitzgerald: 'We've no plans for a knife amnesty, gardaí are doing enough'”. Feedback on “Fitzgerald: 'We've no plans for a knife amnesty, gardaí are doing enough'”.